BY ANDY MASON, second year MA student. “Whose idea was this?” my friend asked as we squelched through puddles to find somewhere dry to sleep out. Knowing the answer was ‘me’ I tried to make light of it saying “well, it’s not as bad as last year” – which was true. 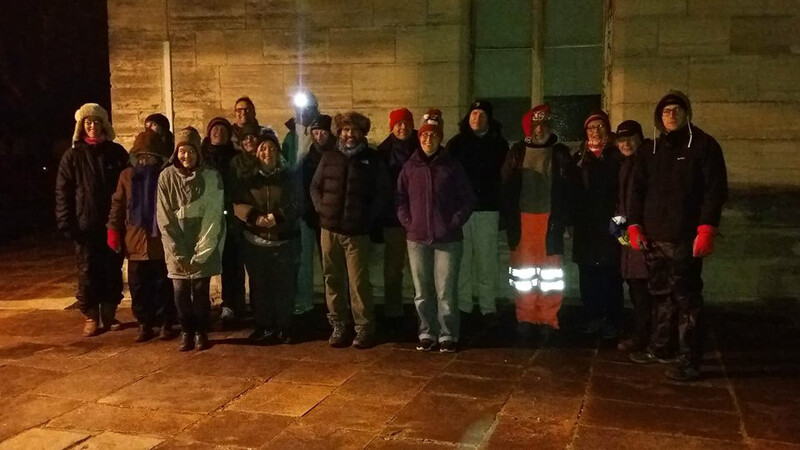 The sleep out in Poole (called this year: “No Room at the Inn”) has become a bit of an annual event around Christmas time. 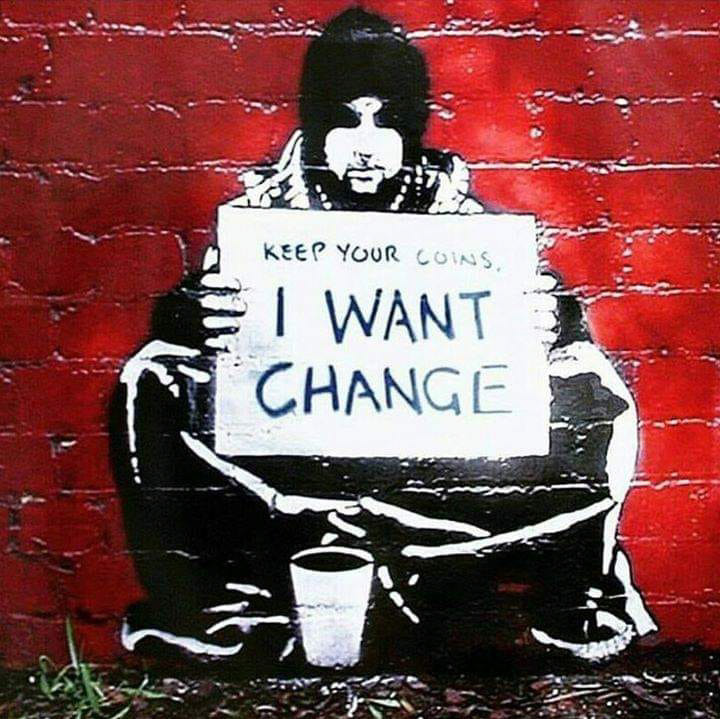 We were raising money and awareness of homelessness in our area (the council is even fining beggars for begging, it seems like they are keener to hide the problem than to help solve it). As we thought about the idea of there being no room at the inn, we chatted about a pregnant teenager being forced to give birth in a hovel surrounded by animals because there was no room in the inn. The last couple of years it has rained and rained and has been a pretty grim experience, where we are all glad to get back home to a hot shower and a warm bed, something those who are genuinely homeless cannot do. This year, however, was a little different. Firstly, we were only a few and around 50 per cent of the group were not Christians. It was interesting sharing a different take on the Christmas story – one that wasn’t all fluffy and romanticised but gritty and real and that forces us to confront God-incarnate born in poverty and later as a refugee fleeing genocide – with people who might not have thought about this story since they were children in a nativity play. Secondly, we had a guy with us who was testing his prototype thermo-shelter, a portable shelter that is insulated and flame proof that can be given to someone to keep them warm and dry, but currently costs about a hundred pounds. We began to dream about how we could get these produced and given out to everyone in Poole who needs one. It was exciting! Our dreams got bolder, and someone’s snoring got louder. 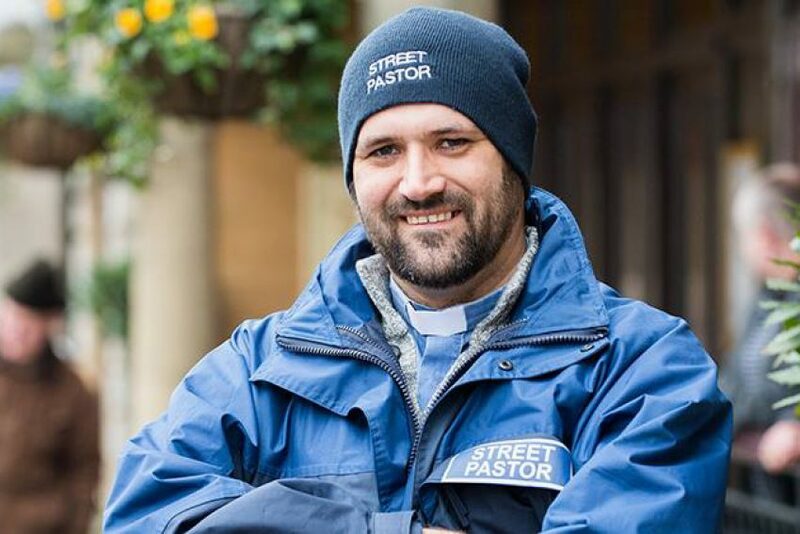 Poole does not have a homeless shelter but with 72 churches in Poole – and lots of underused ecclesiastical buildings – surely it could be possible for no one to have to sleep on the streets of our town? I remember the story of the Eclectic Society drinking tea and talking about the problems of the world. From these times of fellowship slavery was abolished, child exploitation was outlawed and the gospel went to the ends of the earth! When I look at the news, we need more people to drink tea together and dream God’s dream of a different world. Too often we get complacent and self congratulatory, stopping when we should be pressing on forward. As churches in Poole, we are effective in feeding people who are hungry, we have a soup run and Routes to Roots drop-in, but I’m sure I’m not the only one who feels bad that we give our homeless friends a good meal and then send them off to sleep in the cold, seeing them wander off spend the night in bus shelters, car parks and in doorways. My mind wandered back to working in rehab where a young lad had lost several of his teeth because he had been in a sleeping bag in a doorway and some drunk lads had come by and used him as a human football. Also, in my previous parish we had a friend Jo, who was homeless and slept in a bus shelter surrounded by all her stuff (and it was a lot of stuff), one night someone came along and set fire to it all. It made me realise how vulnerable it is being without a home and how cruel the world can sometimes be. This was the second event we had put on as Poole New Monastic Community (we are so new that we haven’t even got an interesting or funky name yet!). We are a gathering of spiritual seekers (some who would call ourselves Christians and others who would not) trying to explore justice, ecology and social justice alongside prayer and contemplation. I remembered too one of the key verses God had given me when I started to push into doing more of this work: “what is required of you O human, that you do justice, love mercy and walk humbly before your God” (Micah 6:8). As we chatted, and snoozed, this felt more like church than many worship services I have attended – some sleepy and soggy nutters dreaming that our town can be changed and knowing that the homeless, marginalised and disenfranchised have a special place in our Saviour’s heart, who’s urging us on to not just talk the talk, but to put something into practice. So, here we are, a tiny new community just forming, but with an exciting dream to see an end to homelessness in our town, and I believe God has in store much, much, more for us to do! I want to suggest we begin this new year with a dangerous prayer: God break my heart for the things that break yours. Helen Harwood: Andy, I love that Micah passage, it is so meaningful and significant for our current age. This article is great and I’m really grateful for you sharing all this with us so close to Christmas. Can I ask what felt different about having 50 per cent Christians and 50 per cent non-Christians at the sleep out; or perhaps better put as you say how is it different working with “a gathering of spiritual seekers (some of us who would call ourselves Christians and others who would not)”? Andy Mason: It is great being a community with people from all walks of life and different faith perspectives; I’m so glad that we have these friends travelling with us, who have taught me a lot! Too often church can be Christian bubbles, it is fantastic that from the start we are a mixed group, and I hope and pray that many more people want to travel with us, some might decide to follow Jesus, others may not, but whatever they remain valued and loved friends and part of our community. I’d also like to take this opportunity to be provocative, and say that it is sad that many within the Christian community are pretty apathetic on issues of justice, ecology, compassion and social action when I think we should be leading the way and those who don’t claim to follow Jesus live lives that I find inspiring and Christ-like. HH: “Break my heart for the things that break yours” is such a beautiful but scary request. Can I ask how God has dropped this into your life over the previous months/years? AM: This has been an on-going prayer of mine, I grew up in a vicarage in Eastbourne in the middle of bedsit land and have always seen word and action being held together as a normal part of the Christian life. That said I need challenging prayers like this one, as I need God to help me keep my heart soft as it is too easy to get distracted and stop caring. I’m a big fan of the writings of Shane Claiborne, and I have some fantastic activist friends who help spur me on when I get complacent! HH: Andy, it’s excellent to know that you are actively working on not getting complacent, what a great reminder that our spiritual lives need working on. You’re a second year MA student: why did you choose us and how has it been going? AM: I love CMS and really enjoyed my lecturers and my fantastic cohort. I’ve found writing the essays a bit challenging as I’ve been out of academic circles for about 12 years, but I’ve learned a lot, it’s helped grow my faith, and stretched my thinking. I chose CMS because it is so unlike other theological institutions and I love the strong emphasis on mission: CMS is asking the questions that I believe the church should be thinking about and wrestling with. HH: Thank you, Andy, that is great to hear. Please do let us know when that interesting or funky name materialises. How can we pray for you? AM: At the moment we’re just called ‘Poole New Monastics’, although I think the guy doing the web-page has called us ‘Poole neo-monastics’! My biggest prayer request is that we go where God is leading us and have the bravery (or stupidity!) to take risks and to step out in faith. I’d also value prayer for us that we manage to be a community that holds in tension contemplation and activism rather than doing one and neglecting the other. Pray too that we manage to do welcome really well, and that everyone who joins our community feels loved and valued.